Peter Robbins is an investigative writer, author and activist best known for his UFO related papers, columns, articles, editorials, commentaries, conference lectures and media appearances. He is a regular fixture on American radio shows and has appeared as a guest on and been consultant to numerous television shows and documentaries. From 1998 until 2004, Peter was employed by the Central Park Media Corporation where he served as Director of their UFO Media Group. Under his direction the company produced a line of respected UFO video and DVD titles. 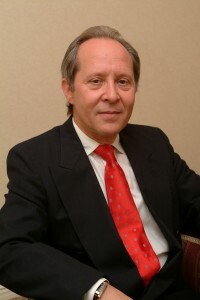 In 1999 he founded and served as Editor-In-Chief of the award-winning website UFO City.com which was online until 2004. This popular Internet destination became a leading UFO news service and posted literally thousands of breaking stories, accounts, editorials, columns and commentaries. Under its auspices he organized, wrote and directed “Campaign Watch 2000,” an all-out, eight-month long effort to get American presidential candidates to comment on the excessive secrecy surrounding the subject of UFOs. Peter is also co-author, along with Larry Warren, of the British best-seller, Left at East Gate: A First-Hand Account of the Rendlesham Forest UFO Incident, Its Cover-Up and Investigation. Peter Robbins was born in New York City and studied art, design and theater at University of Bridgeport, Connecticut and received his BFA (painting, film history) from The School of Visual Arts (SVA), New York City. He taught painting there for more than a dozen years and was a member of the art faculties of St. Anns School in Brooklyn Heights, New York and the Oklahoma Council on the Arts ‘Arts Encounters program.’ Robbins was studio assistant to the abstract expressionist painter Adolph Gotlieb, and to the American primitive painter William Cply. He worked in Off Broadway theater management primarily as repertory company house manager. He was also a crisis intervention volunteer with The Samaritans International for eight years. Peter has traveled extensively in approximately thirty countries, is an experienced New York City tour guide and an accomplished photographer. US and UK academic and institutional speaking venues include: The National Press Club, Washington D.C.; The Julliard School and the School of Visual Arts, New York City, Boston’s Cambridge Hospital, at the invitation of Dr. John Mack, co-founder of the hospital’s Psychiatric Wing, Pulitzer Prize winning author and Harvard Professor of Psychiatry; US) Cornell University; University of Arkansas; Niagara County Community College, Buffalo, NY; Henry Ford Community College, Dearborn, MI; Rotary Club, Bronxville, NY; Elks Club, Bartlesville, OK; Main Branch, Philadelphia Central Library; Roswell Public Library, Roswell New Mexico; Swan Library, Albion, NY, and other public libraries around the country, The Royal College of Science and Technology, London; University of Cardiff, Wales; University of Hallam, Sheffield; University of Leeds, Yorkshire; The Summerhill School, Suffolk East Anglia; Annual and regional BUFORA (British UFO Research Association) Conferences; Fund For UFO Research, Washington, D.C.; New York Open Center, Manhattan; FIONS (Friends of the Institute of Noetic Sciences) Conference, NYC. Robbins has also lectured at international conferences on the scientific discoveries of Dr. Wilhelm Reich, in Ashland Oregon, Niece France, Karavomilos Greece, New York City, and Princeton, New Jersey. Non academic sponsors and conferences have included X-Conferences, Washington, D.C.; UFO Reykawvik Summit, Lawrence, Kansas; Annual International UFO Congresses, Phoenix AZ; Annual MUFON (Mutual UFO Network) International Symposiums; Exeter New Hampshire UFO Conferences; IF (Intruders Foundation) conferences and seminars, New York City; Bay Area UFO Expo(s), Santa Clara, CA; Annual Gulf Breeze UFO Conference, Gulf Breeze, Florida; Annual Omega Communications UFO Conference, North Haven, CT; Annual McMinnville UFO Conferences, McMinnville OR; Annual Crash/Retrieval UFO Conference, Las Vegas, NV; First World UFO Congress, Trenton, NJ; The Gulf Coast UFO Conference, Biloxi, MS; Metaphysical Center of New Jersey, Bloomington, NJ; CIRAEP (Council of Investigation and Research on Aerial/Earth Phenomena) UFO Phenomena Conference, Philadelphia; Fortean Research Center, Lincoln, Nebraska; Scientific Bureau of Investigation UFO Symposium, Albany, NY, and the Long Island UFO Network UFO Conference, Center Moriches, LI, NY; The Rendlesham UFO Incident 30th Anniversary Conference, Woodbridge Suffolk; Quest International Conferences, Leeds; East Midlands UFO Research Conference, Nottingham UK; Annual Conference of The Centre For Fortean Zoology, Devon; Beyond Knowledge Conference, Liverpool UK; The National Conference of The UFO Organization of Japan, Tokyo, and a fifteen-city book tour of the United Kingdom. Robbins’ Television appearances include “The Early Show,” CBS; The History Channel’s “Britain’s Roswell;” “Unsolved Mysteries;” “Good Day New York;” “The O’Reilly Factor;” “The Real Roswell,” National Geographic Channel; The SCI FI Channel documentary “UFO Invasion At Rendlesham;” “Cultural Odyssey,” Voice of America TV (Chinese Branch); “The Geraldo Show,” NYC; “L’Odyssee De L’Etrange” (France); “The Nina Hagen Show” (Germany); “Network First: UFO” (UK); “Paranormal Witness;” (Horizon UK); Lifetime Network and “Conspiracy”(Film One Production) Canada; assorted programs for Chilean, Norwegian and French-Canadian television, as well as numerous BBC TV affiliates around the United Kingdom. Robbins’ professional credits include: Editorial Assistant on UN Secretary General’s (requested) report “for the establishment of a UN-UFO Department; Editorial Assistant, for Member of Parliament, the Honourable Brinsley Le Pour, Earl of Clancarty’s (requested) paper for The House of Lords 1980 Debate on UFOs; founding member and Advisory Board member of Budd Hopkins’ Intruders Foundation; longtime Executive Assistant to Mr. Hopkins; Event Coordinator for the SCI FI Channel’s ‘Alien Abduction Phenomenon: A Symposium, organized to promote the release of the Steven Spielberg miniseries ‘Taken,’ and writer, planner and commentator for the “Ultimate UFO” and “Ultimate Crop Circle” DVD sets. Peter has written for Open Minds magazine, FATE, Phenomena (UK) UFO Data Magazine (UK), UFO Matrix (UK), UFO Magazine (both the UK & US publications), OUR-J Journal of UFO Studies (Japan), and numerous other UFO related publications and websites. He is an advisor to the McMinnville (Oregon) UFO Festival/Conference and co-founder, public relations representative and consultant to the Exeter New Hampshire UFO Conference. From 2007 until 2010 he was a consultant and advisor to the City of Roswell New Mexico and coordinator of the city’s annual UFO symposium. The updated and expanded edition of Left at East Gate: A First-Hand Account of the Rendlesham Forest UFO Incident, Its Cover-Up and Investigation by Larry Warren and Peter Robbins is published by Cosimo Books, NYC and can be ordered from the publisher, online book sources, or directly from author. Speaker inquiries should be directed to probbinsny@yahoo.com.